How Do You Spell THOUGH? 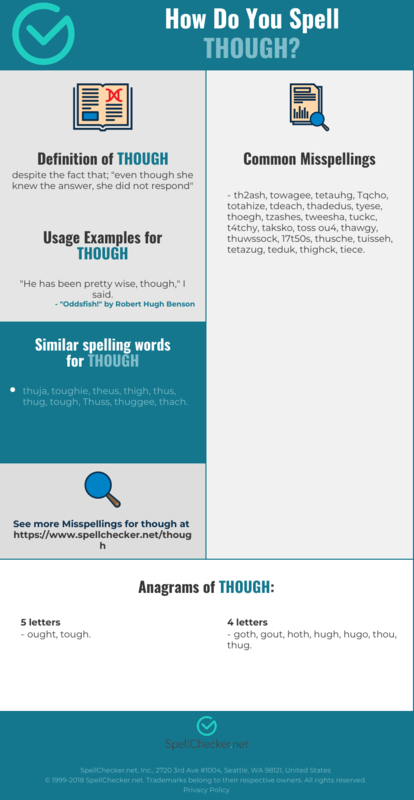 Correct spelling for the English word "though" is [ð_ˈəʊ], [ðˈə͡ʊ], [ðˈə‍ʊ]] (IPA phonetic alphabet). 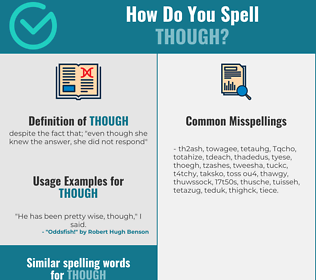 Below is the list of 3867 misspellings for the word "though". despite the fact that; "even though she knew the answer, she did not respond"